It is not everyday that I turn 18 years old (pun intended) so being a round age I thought I should celebrate it properly. 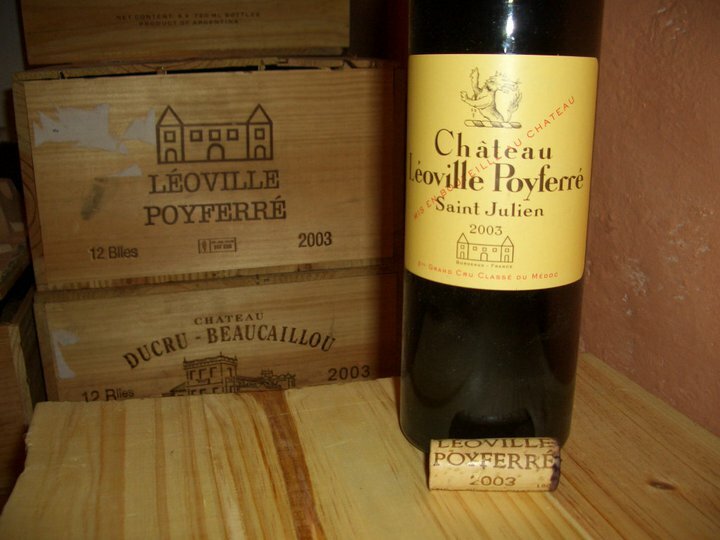 Therefore I chose a wine that obtained the highest score in this Chateau’s history before the hyped 2009 vintage: Chateau Leoville Poyferre 2003. The 2003 vintage was extremely hot everywhere in Europe and most of the wines produced had an unusual high alcohol level, were very approachable young but not long lived. 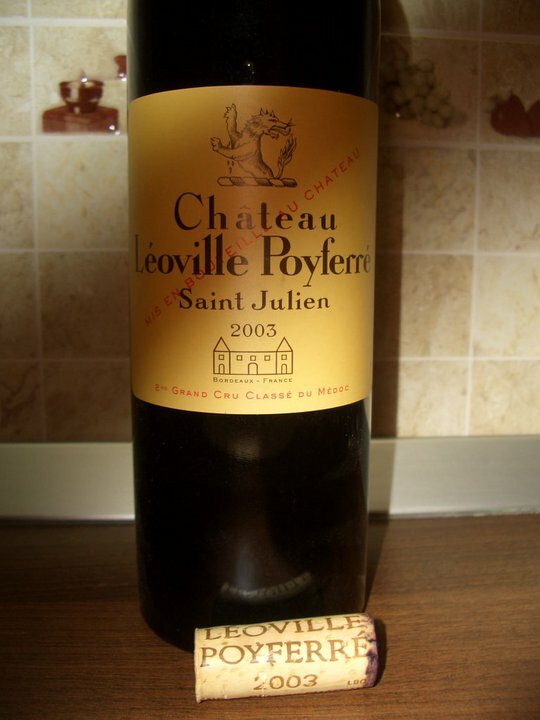 The Leoville Poyferre 2003 was nominated as one of the best wines of this vintage in Bordeaux. The Chateau has a very interesting history: Poyferre was originally part of the vast Leoville estate, which was split up at the time of the Revolution. One quarter has been sold to the Barton family and two-thirds of the remainder were owned by Jean Pierre, Marquis de Las Cases. The remaining third passed to Jeanne d’Abbadie. Jeanne gave the estate to one of her daughters, who shortly afterward sold it to her sister, the Baroness de Poyferre. The estate was not to remain in the Poyferre family for long, for the Baroness son was ruined by imprudent investments in the Russian railways, and in 1866 had to sell his inheritance. Poyferre was bought by the owner of Chateau Cantenac-Brown, a negociant named Armand Lalande. He left it to his daughter in 1894 and this lady sold it in 1920 to its present owners: the Cuvelier family. 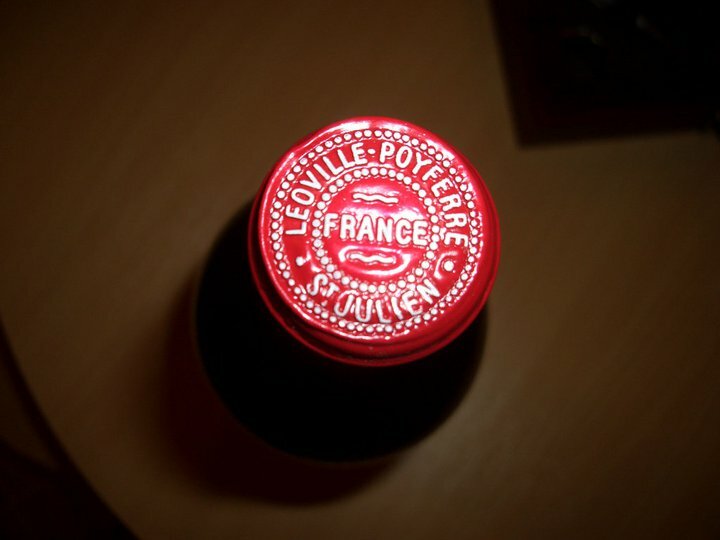 The style of Leoville Poyferre is very different to the more classic Leoville Barton or the super-concentrated Leoville Las Cases. It is more hedonistic and more appealing in its youth. But enough with the history, let’s get down to business and see how this wine was. Blend of 62% Cabernet Sauvignon, 28% Merlot, 8% Petit Verdot and 2% Cabernet Franc. The wine has a dark inky color. This has one of the most complex and polished noses I felt in a wine. Initially shows smoky and earthy ripe blue and black fruits, plums, coffee beans, dark chocolate, leather but with time, as the wine breathes, classic Cabernet aromas of green vegetables and spices are invading the nose building even more complexity. In the mouth the wine has power and huge concentration dressed in velvet; it feels like drinking liquid silk. Complex and pure aromas of ripe dark fruits, cassis, some minerality and earthiness, coffee, dark chocolate cover the polished tannins making this vibrant wine very approachable already and not heavy at all, with an amazing drink-ability while still giving a hint about what this wine will become with a few more years in the bottle. Perfect balance between all components: right acidity, ripe tannins and plenty of aromas. It is a perfect mix of Old world and New world. The aftertaste is very long with a beautiful dark chocolate-green beans coffee bitterness in the finish. A Monumental wine. This is dangerously addictive and can push even the most disciplined one to sinfully open any remaining bottles immediately. A wine that can convert anybody into a wine lover. It paired nicely with a juicy beef steak served with a Dijon mustard sauce and spinach, green beans and sauteed Champignon mushrooms.